A truly stunning five bedroom detached home located in the sought after London Road area in Wickford. 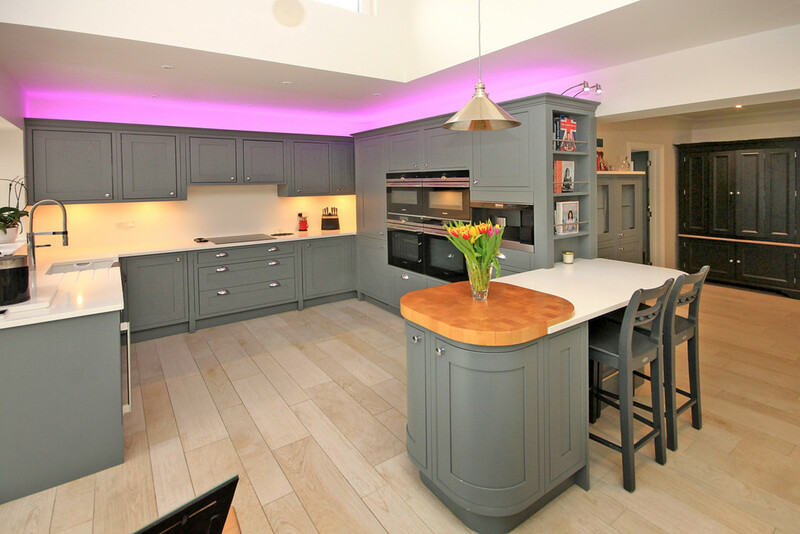 The property features a beautiful vaulted extension, creating spacious open/plan accommodation. With an incredibly high specification finish throughout, viewing is absolutely essential. A truly stunning five bedroom detached family home located in the sought after London Road area in Wickford. 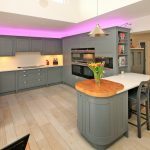 The property is particularly versatile and features a beautiful vaulted extension, creating spacious open/plan accommodation to the ground floor and bi-fold doors leading on to an extensive sun terrace. Main features include an exquisite quality fitted kitchen, utility room, ground floor cloakroom, 17'7 dining area, en-suite shower room to master bedroom, generous rear garden approaching 100ft and ample off street parking. With an incredibly high specification finish throughout, an internal inspection is essential in order to appreciate both the size and quality of accommodation on offer. LOUNGE 16' 1" into bay x 11' 9" (4.9m x 3.58m) Double glazed bay window to front. Coved ceiling. Radiator . BEDROOM FOUR 9' 5" x 8' 10" (2.87m x 2.69m) Double glazed window to side. Radiator. Coved ceiling. DINING AREA 17' 7" x 12' (5.36m x 3.66m) Dining area, double glazed window to side. Bespoke fitted desk and home office area. Porcelain tiled flooring with under floor heating. Coved ceiling. OPEN PLAN LOUNGE AND KITCHEN 25' 2" x 18' 4" (7.67m x 5.59m) Lounge area: Vaulted ceiling with dual skylights. Bi-folding doors to rear. Porcelain tiled flooring with underfloor heating. Feature wood burner. Inset spotlights. Kitchen Area: Double glazed window to rear. Bespoke kitchen supplied and fitted by Hutton Kitchens. Range of base and wall mounted units providing drawer and cupboard space with Quartz work top surface extending to incorporate inset sink unit. Built in oven unit incorporating microwave, steam and Wifi controlled ovens. Hob with extractor fan above. Integrated fridge freezer. Built in Miele expresso coffee machine. Wine cooler. Down lighters to ceiling. Porcelain tiled flooring with under floor heating. UTILITY ROOM 12' x 7' 10" (3.66m x 2.39m) Double glazed door to side. Porcelain tiled flooring. Additional high gloss base and wall mounted units. Space for washing machine and fridge freezer. Glazed splash back. Down lighters to ceiling. FIRST FLOOR LANDING Three double glazed skylights to ceiling. BATHROOM Double glazed skylight to front. Suite comprising of low level WC, wash hand basin and panel enclosed bath unit. Extensive tiling to walls and floor. Heated towel rail. Spotlights to ceiling. EXTERIOR Superb rear garden approximately 100'. Extensive Porcelain tiled sun terrace with retaining wall. Access to side with double gates. Further sideway with shed. Security light. Further external lighting and electrics. CCTV. The majority of the garden being mainly laid to lawn with fenced surround. To the front, the property benefits from a Carriage style gravel driveway to front providing off street parking for numerous vehicles. These particulars are accurate to the best of our knowledge but do not constitute an offer or contract. Photos are for representation only and do not imply the inclusion of fixtures and fittings. The floor plans are not to scale and only provide an indication of the layout.